GLO Fellow Alfredo Toro Hardy Explains 'The Crossroads of Globalization' from a Latin American Perspective. GLO Fellow Alfredo Toro Hardy Explains 'The Crossroads of Globalization' from a Latin American Perspective. GLO Fellow Alfredo Toro Hardy Explains ‘The Crossroads of Globalization’ from a Latin American Perspective. 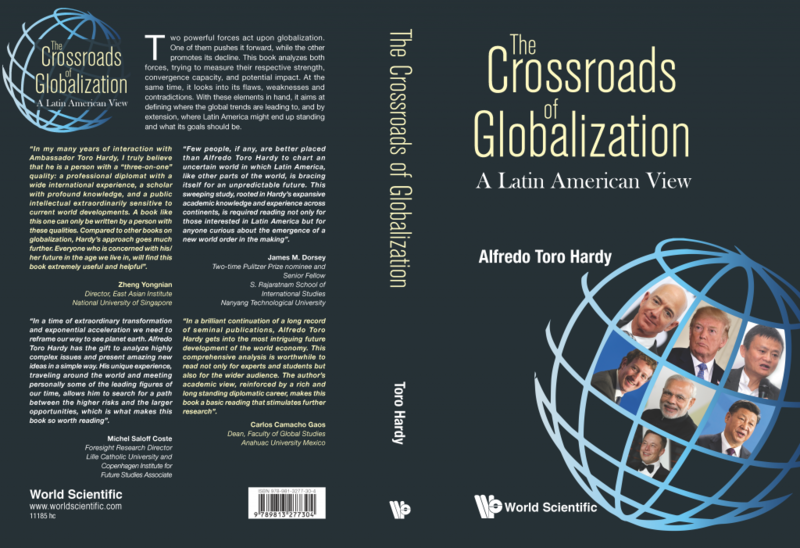 In his new book just published in December 2018, Alfredo Toro Hardy, Venezuelan Scholar and Diplomat as well as a Fellow of the Global Labor Organization (GLO), explains his views about the perspectives of Latin America at the crossroads of globalization. Currently, globalization seems to be in decline all over the globe. However, if the future would see a revival, it seems plausible that Latin America should continue its current pace of following it. However, if globalization would continue to decline, the region would need to find other options. The book evaluates the risks and outlines the options. MORE DETAILS. “As so often in the history of mankind, the fate of globalization is currently at stake. It looks that, again, the world is at a crossroad between development or contraction. The economic and political polarizations within or between countries, the rise of populism and in the number of instable democracies, the tensions resulting from migration, inequality, robotization and the demands of emerging economies like China, India and (perhaps) Brazil require attention. Protectionism, EU-skepticism, nationalism, racism, and rejections of economic multilateralism and multicultural approaches are more and more important again. Only few critical observers of the world are not concerned about the current strength and the unclear directions of the driving forces behind which are only slowly understood. Globalization is much more than the persistent global integration of the flow of goods, capital and labor. It also merges cultures and enforces permanent and immediate exchange of knowledge and sentiments. Latin America was once forced into globalization and moved in unprepared, stumbling. It survived by adapting. It is an export-based economy. Moving out is likely to be very costly in economic terms. Is this unavoidable or are there alternatives? Globalization, as is widely perceived, mainly benefits liberal democracies. But is this really true? The Chinese pro-globalization strategy certainly questions this position. And if globalization collapses in parts of the world, does it make sense to follow like lemmings. Or is it not better to go on as much as possible, making use of the potentials of globalization? In other words, if the United Kingdom wants Brexit, why should the remaining European Union give up its ambitions? Globalization will not end, since economic advantages and constraints will enforce its rise, as it materialized over the entire history of mankind. The rise of homo sapiens over thousands of years has taken place due to a superior brain, excellent language abilities and a tremendous talent to collaborate. But, of course, mistakes of humans as of political and social organizations can cause a break of further globalization for some time. In many ways, the current world is not much more open than it was before World War I. In any case: Those nations and continents ignoring historical lessons will eventually fall behind. Alfredo Toro Hardy offers us some advanced training. The author of this book deserves significant attention: After a long and successful career as top diplomat, ambassador and global scholar, he is exploiting his deep knowledge and experience acquired over a worklife to tackle some of the most pressing issues of our time. 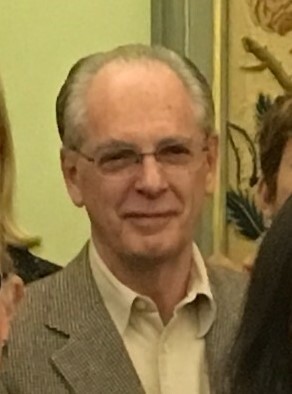 I have had the privilege to learn him and his lovely wife during a joint tenure as a Rockefeller Foundation Bellagio Center Resident Scholar in 2017. During this period, we have had many inspiring and fruitful exchanges about the future of our worlds and the challenges of life. I have always been impressed by his deep insights in complex issues and his balanced views on controversial or even explosive topics. In his unique way, Alfredo Toro Hardy, develops the perspectives of his continent in this world at the crossroads as the Voice of Latin America. Chapter by chapter, he sharpens our views for the challenges to come and the strengths, Latin America is able to mobilize. What is the right path for the continent? As the author states (p. 388): “Fast moving nations, indeed, appeared to be the better prepared to take advantage from a rapidly moving global market-place.” It is ‘flexibility, stupid’, making the difference. Investing in the technological advances in the fields of knowledge transfer, communications and transportations still make sense. And the continent needs to embrace, not to fight the upcoming digital economy. Hence, Alfredo Toro Hardy suggests that (p. 393) “pragmatism, resilience, creativeness, imagination, and the joining together of Latin American forces, will have to guide the region’s actions in the foreseeable future.” This implies to develop the integration of the Latin American markets even further through free trade agreements while keeping open to the global economy, in particular to the European Union. Certainly, institutions like the Inter-American Development Bank and the Economic Commission for Latin America can be instruments to foster the process.